This entry was posted on August 6, 2018 by Tinteán Editorial Team/EMcK, in Irish Unification, News, NI, NI Peace Process, NI Politics, Reunification and tagged Future of NI, Peter Robinson, Queen's University. Bookmark the permalink. A major development on the road to a united Ireland has taken shape. 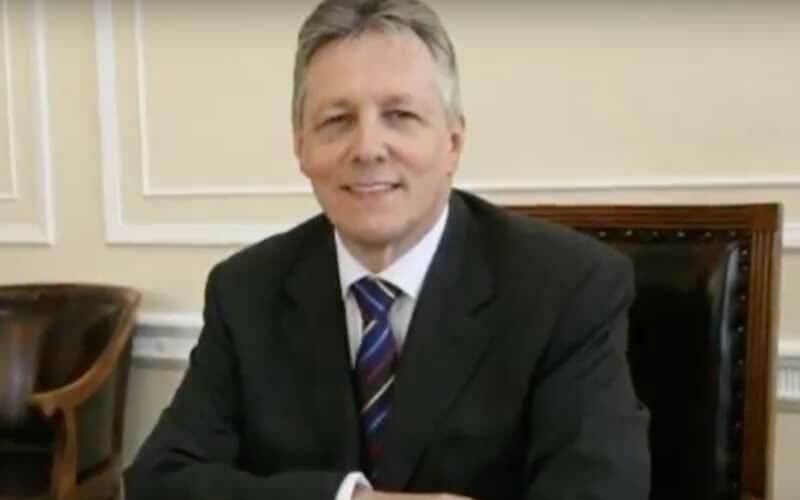 For the first time ever a leading Unionist figure, Peter Robinson, formerly First Minister of Northern Ireland and Ian Paisley’s successor, has laid out the steps that would need to be taken. Robinson stated in his first lecture as a professor in peace studies at Queen’s University (7th June 2018), that it was time the issue of the future of Northern Ireland was squarely faced. He (Robinson) has proposed a possible way forward for the future of this island. My surprise now is that the political establishment and most of the media have failed to see the import of what he said. What Robinson said is indeed startling. We now find ourselves in the downside of being in a process. The feeling that everything is temporary; that the arrangements are in flux; that the functioning of the Assembly will be repeatedly interrupted for negotiated pit-stops. He talks about a referendum every 30 years on a United Ireland. He must know there is no question that by 2050 there will be a large nationalist majority. In this, of course, I am not talking about the nature and shape of the new state that would emerge if there ever was a vote to exit the UK. I am alluding to the need to agree a process for negotiations, timescales and not only the means of reaching agreement on all the particulars but also who would be involved in negotiating such an agreement. There you have it, the first ever serious admission of how the tide will turn against unionism and they need to get onside. The ‘need to agree a process‘ for negotiations ‘pulls the pin on the grenade’ as Bradley aptly puts it. He must know that such a suggestion is the start of putting flesh on the bones of an agreed Ireland. He knows that it is not only the setting of dates and process. He knows that it involves England and Ireland, unionist and nationalist at a table debating the texture of a future Ireland. And he knows only too well that who says it is even more important than what was said. Peter Robinson, the once hard man, the brilliant political strategist, has suggested a forum that takes us to the next stage of relationship building on this island. Bradley says. It is indeed an historic first and great credit to Robinson for speaking out on the unspeakable notion to unionism of a united Ireland.